Encounter the moving tunes of the Shakuhachi flute. 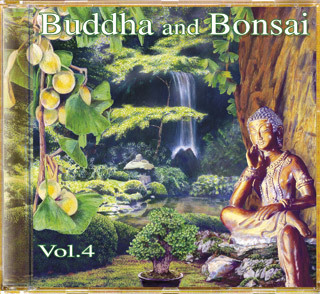 With Volume 4 of the Buddha and Bonsai series we find ourselves immersed in a unique flow of soothing frequencies and inspiring music with heart and soul. Floating sounds like cascades of clear water in the deep green of japanese gardens. A feeling of Zen. Music can be used to influence our brain activities in a positive way. Alpha waves are increased and produce a state of inner balance. Close your eyes and open your mind. Feel the sacredness of a life in health and harmony with nature. Buddha and Bonsai Vol.4 is the soundtrack to dreams, a source of energy for a fulfilled, well-balanced life.